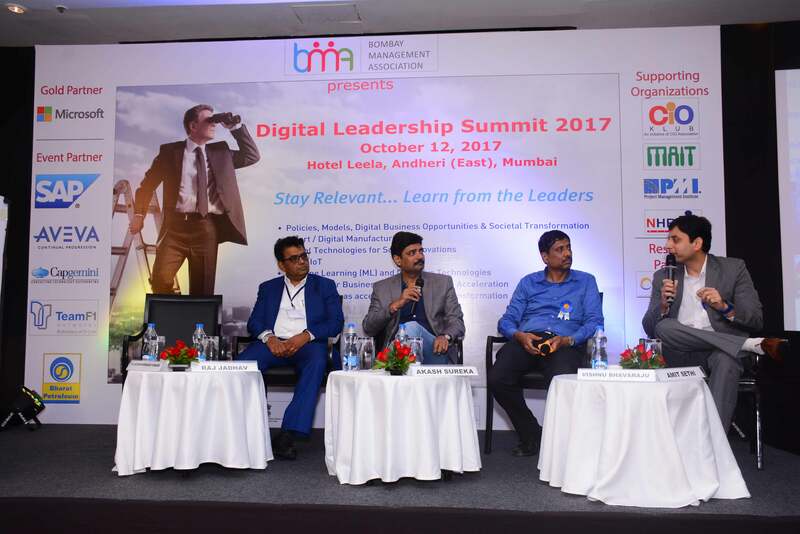 On October 12, 2017, TeamF1 Networks participated as an event partner in the Digital Leadership Summit 2017, organized by Bombay Management Association (BMA) in Mumbai. The conference was all about digital technologies and transformation for social innovations. Mr. Raj Jadhav, Director, TeamF1 was the panel member for a discussion on “Apply IoT.” “Policies, models, digital business opportunities and social transformation” was one of the many topics discussed in the leadership conference. It was a platform for all the start-ups and established companies that offer products, services and solutions to the digital transformation, to showcase and interact with the leaders of medium and large scale industries.